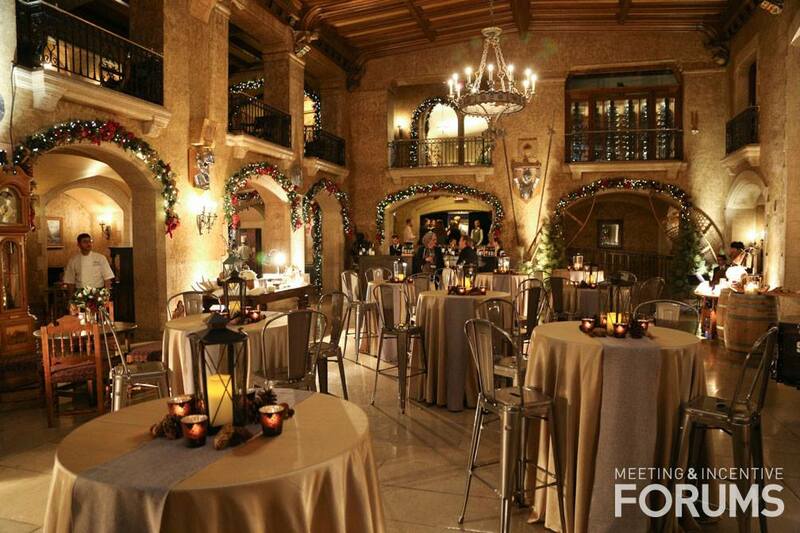 Today we've got a little peek into a gorgeous event at The Fairmont Lake Louise for M&I Forum Transatlantic Banff. 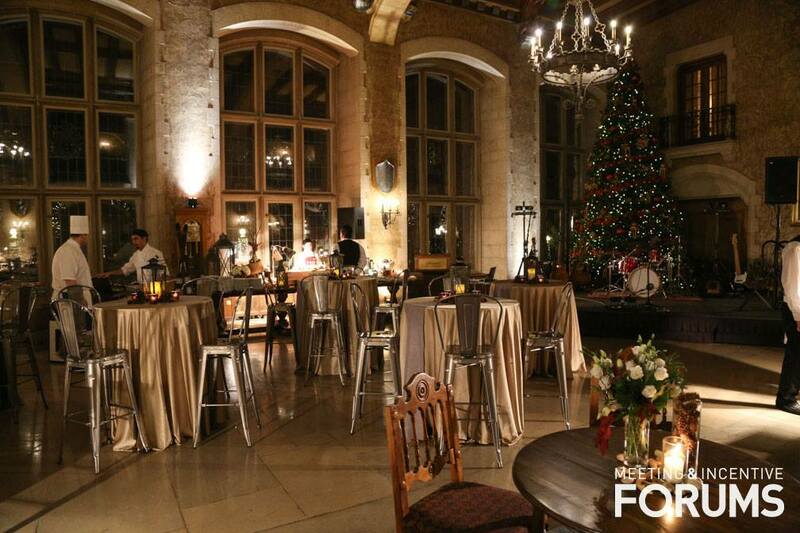 We worked with their team to design a high style mountain lodge event combining elegance with rustic mountain beauty. 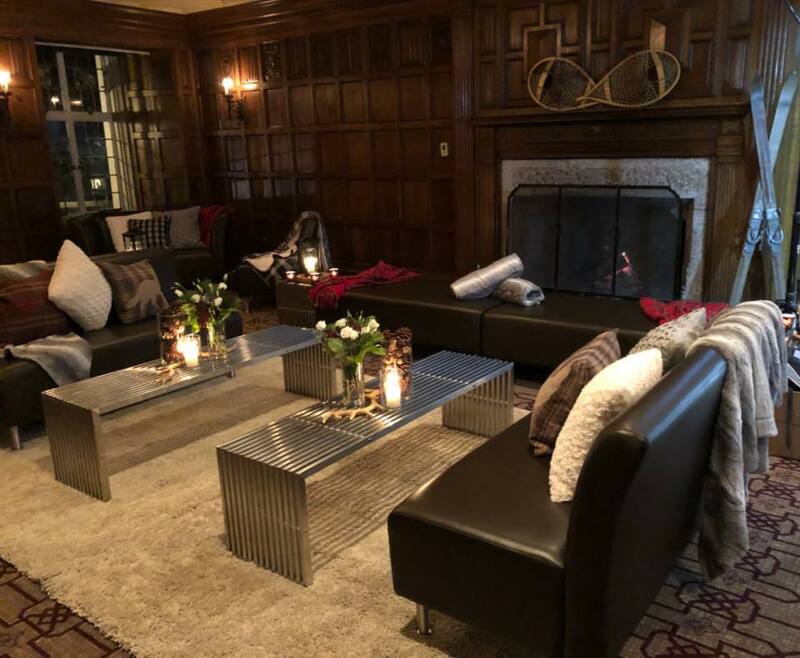 The Fairmont always sets the stage for a beautiful and luxurious event, we added the rustic touches through details such as florals, lanterns, antlers, river rock, sheepskin and cozy throw pillows. The banquet room was set with cocktail tables covered in floor-skimming satin linens in order to provide plenty of space for guests to mingle. The event was beautiful and we hope everyone enjoyed it and visiting our mountains. The event was a beautiful opening for M&I Forums and along with the beautiful decor, there was amazing and fun food (including a baked potato bar) and a talented local artist working on a beautiful painting throughout the evening. Want to see more gorgeous Banff corporate events designed by our team? Head over to our Banff corporate event planner gallery to see some of our favourite images and designs. We are passionate about creating memorable and incredible events for businesses and meetings of all sizes! If you're planning a corporate retreat, event or meeting throughout the Bow Valley (Canmore, Banff and Lake Louise) we offer custom events, signature events, table setting & centrepieces, staging & audiovisual, entertainment and event decor.